An international team of astronomers, led by University of Hawaiʻi graduate student Ashley Chontos, announced the confirmation of the first exoplanet candidate identified by NASA's Kepler Mission. The result was presented today at the fifth Kepler/K2 Science Conference held in Glendale, CA. Launched almost exactly 10 years ago, the Kepler Space Telescope has discovered thousands of exoplanets using the transit method - small dips in a star's brightness as planets cross in front of the star. 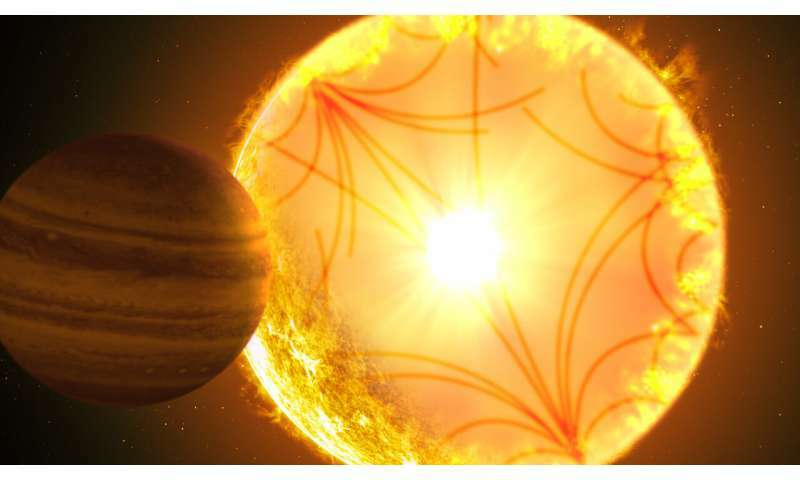 Because other phenomena can mimic transits, Kepler data reveal planet candidates, but further analysis is required to confirm them as genuine planets. Despite being the very first planet candidate discovered by NASA's Kepler Space Telescope, the object now known as Kepler-1658 b had a rocky road to confirmation. The initial estimate of the size of the planet's host star was incorrect, so the sizes of both the star and Kepler-1658 b were vastly underestimated. It was later set aside as a false positive when the numbers didn't quite make sense for the effects seen on its star for a body of that size. Fortuitously, Chontos' first year graduate research project, which focused on re-analyzing Kepler host stars, happened at just the right time. "Our new analysis, which uses stellar sound waves observed in the Kepler data to characterize the host star, demonstrated that the star is in fact three times larger than previously thought. This in turn means that the planet is three times larger, revealing that Kepler-1658 b is actually a hot Jupiter-like planet," said Chontos. With this refined analysis, everything pointed to the object truly being a planet, but confirmation from new observations was still needed. "We alerted Dave Latham (a senior astronomer at the Smithsonian Astrophysical Observatory, and co-author on the paper) and his team collected the necessary spectroscopic data to unambiguously show that Kepler-1658 b is a planet," said Dan Huber, co-author and astronomer at the University of Hawaiʻi. "As one of the pioneers of exoplanet science and a key figure behind the Kepler mission, it was particularly fitting to have Dave be part of this confirmation." Kepler-1658 is 50% more massive and three times larger than the Sun. The newly confirmed planet orbits at a distance of only twice the star's diameter, making it one of the closest-in planets around a more evolved star - one that resembles a future version of our Sun. Standing on the planet, the star would appear 60 times larger in diameter than the Sun as seen from Earth. "Kepler-1658 is a perfect example of why a better understanding of host stars of exoplanets is so important." said Chontos. "It also tells us that there are many treasures left to be found in the Kepler data." A preprint of the paper, entitled "The Curious Case of KOI 4: Confirming Kepler's First Exoplanet Detection," by Chontos et al. is available for download here. It has been accepted for publication in the Astronomical Journal.